The holidays have come and gone and you’re getting ready for your resolutions for the New Year. Suggestion, give up on the ones that involve weight loss, smoking and lowering your cholesterol. Don’t get me wrong, these are great goals but haven’t you been working on them for years? How about something a little different this year, work on getting rid of your stress. Many studies show the negative impact of stress on physical health such as blood pressure and heart disease but what about the toll it takes on your mental health? When I feel stressed I make myself feel better by eating the wrong things and so my cholesterol goes up. You probably have your own brand of “feel” good measures that you’ve been doing for years. Let’s try something new, here are my thoughts for the New Year. Forgive the person who pushed her way in front of you at the post office this holiday season; the one you hoped would slam her finger in the door on the way out. She probably didn’t even see you. Forgive the airlines for being who they are; not very helpful, keeping you on hold for hours and then when they finally get to you, you can’t understand a word they’re saying. Stop wishing they would go back to their own country, that’s where they are. Forgive the postman who dropped you letter in the puddle before you got it. You got it didn’t you? Forgive your mother-in-law because she doesn’t like you. You must have some other friends that do. If not, I suggest you get some. Forgive your ex-wife/husband for not loving you enough, forgetting to take out the garbage, or not buying you what you really wanted for your anniversary. Get out your checkbook and order yourself some flowers. Forgive the cat for throwing up on your favorite rug. I can remember a time in 1990 when I threw up on my rug and my cat Maguai never said a word. What about the time the phone company had you on hold for 18 minutes and you finally hung up. Was it the right number? What prompted this post is a recent email. A friend of mine wrote me a beautiful note about how her only daughter had wished for an older sister. She said she told her daughter they might get a younger one but an older one was harder to get, at least that’s what she thought. As they say, truth is stranger than fiction and my friend, years later, receives a call from her ex-husband who tells her this story. He says he recently found out he has a daughter from “brief encounter” prior to his marriage to my friend. He remembers the woman but she disappeared from his life and never mentioned a child. The information on the birth parents was kept secret until the death of the adopted father. The letter contained the name of the birth father. This must have been quite a shock, from my experience, adoption is very complicated for all involved. Eventually the birth father and his daughter exchange letters, phone calls and eventually visit. One of the nicest outcomes is my my friend’s daughter gets her older sister. Of course it’s now years later; everyone has moved on, and my friend is recounting her thoughts. In my mind, a true act of forgiveness. I don’t know about you, but I’m way behind on my forgiveness list. great post Lis. Happy New Year! Lis – It is so unfortunate how we forget how cleansing and healing forgiveness is. 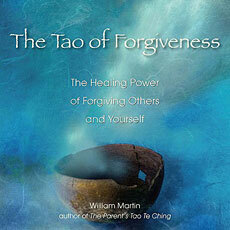 A huge weight is lifted; from who knows exactly where, each time we forgive someone. And if brave enough, a person can make a jesture to reestablish a neglected relationship that may help both involved. Thanks again for the great thoughts! Thanks for your note Tim; it was great to talk with you today. I look forward to us catching up and looking towards the new year. Hi Roberta, I loved your comment; all day I was thinking about what I wrote and how I should follow my own advice more! Happy holidays. Well stated Lis. I have some forgiving that I am behind on as well. You hold a lot of stress when you can’t forgive and that is stress that my mind can’t handle and it take a toll on the body as well. I am going to take your advice, forgive and move on – never look back. Thanks for he post. Lynn, it was so nice to talk with you tonight; I’ll get to Madisen! I still remember the fun we had when you stayed with me and John. Happy New Year! It’s also important that we forgive ourselves. Thank you for the note. Thank you so much; I think it’s also important we forgive ourselves. Looking back isn’t bad, just don’t move backward. As long as I’ve known you I’ve admired your ability to move forward through thick and thin. Thanks for the house advice, can’t wait for you to visit.